Before my spray tanning days at So Boutique I tried so many self tanners and face self tanners. The thing that irritated me the most was the smell! I’m really sensitive to smell and it would make me sick. Then I would break out. Sometimes I would be uneven. It would hyper pigment my Asian yellow skin. After I started spray tanning with Body Bronze Products I didn’t have that problem anymore. I don’t always have time to get my spray tan even though I work at So You Boutique and airbrush spray tan clients all day. Like how a cobbler’s son doesn’t have shoes, a spray tanning artist doesn’t have her spray tan! I love my face and legs to be tan the most. In the winter I can forgo the body at times but the face I cannot. The #1 Flawless Facial Tanning Spray recommended by some of the top plastic surgeons & dermatologist in the world! This clear self-tanning aerosol spray is a great product for those who would like a safe, healthy looking tan for the face without the risk of having clogged pores from a bronzer. The spray is clear; however coloration will appear in 2-3 hours. M.D. 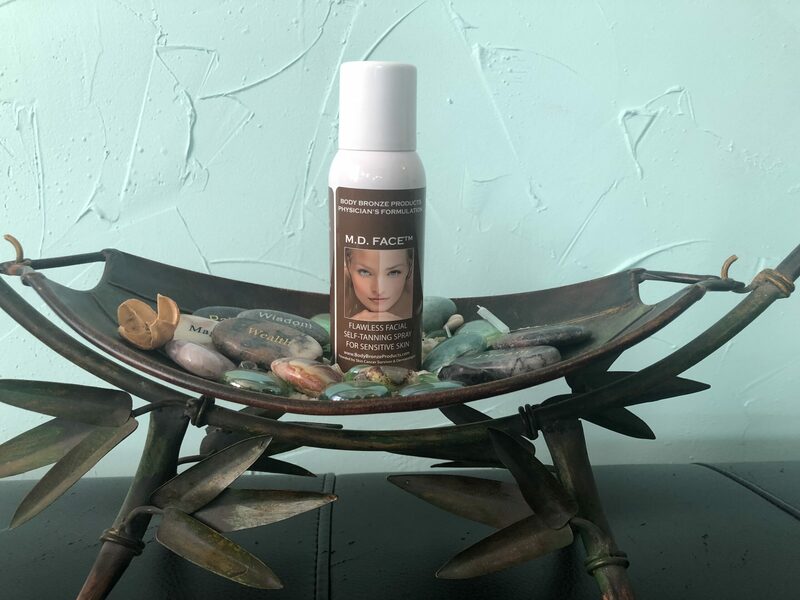 FACE is the perfect sunless facial tanner for people who have acne, age spots or any other skin imperfections that the bronzers tend to emphasize. Here’s a short video to show you how to do it. It’s an aerosol spray so you get the results you would with our airbrush tan at the studio. You really can’t mess it up! Order it online in our shop!